EDIT: Giveaway is officially over! Congratulations to the randomly chosen 87th commenter, Danielle! The monster covers at Night Lily Design may look cute and cuddly, but they'll protect your books from evil better than a gigantic three-headed dog named Fluffy. Their creator, Kimberly, is giving one away to celebrate the release of the final Harry Potter and the Deathly Hallows movie on July 15. I haven't been to a midnight film screening, but I was working at a bookstore the summer Harry Potter and the Goblet of Fire was released. It was amazing how many devoted fantasy fans showed up in my sleepy beach town and lined up around the building under the moonlight to get their hands on that book as soon as possible. That was eleven years ago, before the invention of e-Book readers. How fast time flies on griffin wings! Kimberly offers covers for both mass market paperbacks and eReaders like the Barnes and Noble Nook or Amazon Kindle. Pictured above is Alphonse in all his honeysuckle pink glory, a classic book secured inside by his lip lickin' tongue with a magnetic snap. The winner may choose him or any of his cousins to protect paper pages or electronic bytes, priced $42 and below. Her new laptop monsters are not included in this offer. Monsters are not the only fantastical creatures that prowl around the Night Lily Design shop. Fairy wings, glow in the dark horns, and butterfly hair clips are just a few of the handmade creations available to accessorize costumes for festivals and masquerades. All of these magical goodies can be purchased for 10% off using Etsy coupon code POTTERFAN10 during checkout before July 31, 2011. Giveaway is open worldwide to entrants at least 18 years old. I will be pulling a number from my random.org top hat after 12:01am EST on July 15, 2011, and the corresponding commenter will win! Kimberly will contact that lucky soul for a mailing address. If she doesn't hear back from the winner within 3 days, a new number will be drawn. 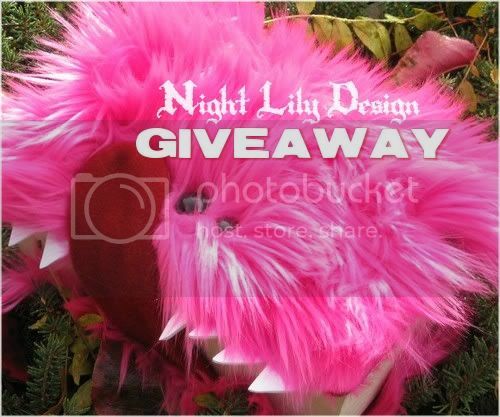 Mandatory Entry: Creep over to the Night Lily Design Etsy shop then comment on this post with your favorite handmade item and a way to contact you, preferably an email or Etsy shop. 1. Like that same item by using the facebook like button on the right sidebar of Kimberly's Etsy listing and leave a comment here with the number of likes to the right of the button. I love Lilifur the Regatta Blue Book Monster - I think these are just TOOO COOL. 1. I liked it. The number of likes is 1. 6. You have just voted for aquariann! Remember, you can vote every day. THis is allot of fun: Midnight Druidic Hood looks nice and warm! Reading Bites Book Monster is my fave! My favorite is the Lush black monster ereader cover :) I'm frogsbug on etsy. I love the Lilifur the Regatta Blue Book Monster. I like the Lilifur the Regatta Blue Book Monster. It has 2 likes. I like you both on FB (Suzanne G). I follow you both on Twitter @kiddo47. I shared this giveaway by liking it on FB. I added the button to my sidebar. Already like you both on Facebook. Already follow both of you on twitter. I love Alphonse the Book Monster best. Mostly because he's pink (and a he! ), and mostly secondly because of his name. Amazeballs. And of course I am following you and Nightlily on The Twitters! I like Alphonse the book Monster! I love the color of Lilifur! I love the Lilfur regatta blue book monster! they are so cute! i clicked on the like and there is a number 3 after it. thanks for the giveaway. i voted for you today on picket fence! The Russet Fur Monster eReader Cover is my favorite! So cute! Sven is the cutest lil monster! I have wanted to get my hands on one of Kimberly's furry darlings forever! I like the contest on facebook! I like Night Lily Design and @aquariann on facebook! I LOVE this shop!!! My favorite is the Fritz the Book Monster Paperback Protector!! Thanks for the contest!! I like the FritZ Book Monster, and there are 2 Likes now!!! :) Thanks! My favorite item is the: Tropical Batik Fur Lined Medieval Hood. I've never seen a hood made like this and I love the colors! Looks so comfy! The Fritz the Book Monster Paperback Protector is adorable. i voted today on picket fence! My favourite is Fritz the Book Monster Paperback Protector ! These are adorable. Perfect for HP fans. I really like the Book Monster the Page Protector. Too cute. i voted on picket fence today! I liked Alphonse the book monster by using the facebook like button on the right sidebar and the number of likes is 2! I liked the Night Lily Design and aquariann Art pages on facebook. I'm in love with all your items, but my favourite is Alphonse the book monster! I Followed @NightLilyDesign AND @aquariann on twitter. I Tweeted about the giveaway using the one below or a variation of your own. Leave a comment with the link. I just love the Hippolyta the Monster Laptop Case! I would love her, and give her a good home. I'm glad to have found your shop =) I can be reached at victoria.gueli@yahoo.com. I hope I win!! On "Like" so far for Hippolyta! One* "Like" so far for Hippolyta! Also am sharing Hippolyta on my FB page! I love the Monarch Fairy Wings. Best of luck to those who win the contest of this most generous offer! May this make you sparkle too! I like the fairy butterfly wings...the iridescent ones are quite lovely. My fav item is Lilifur the Regatta Blue Book Monster! I like cutie Fritz the Book Monster Paperback Protector on FB! I Like this giveaway on facebook! 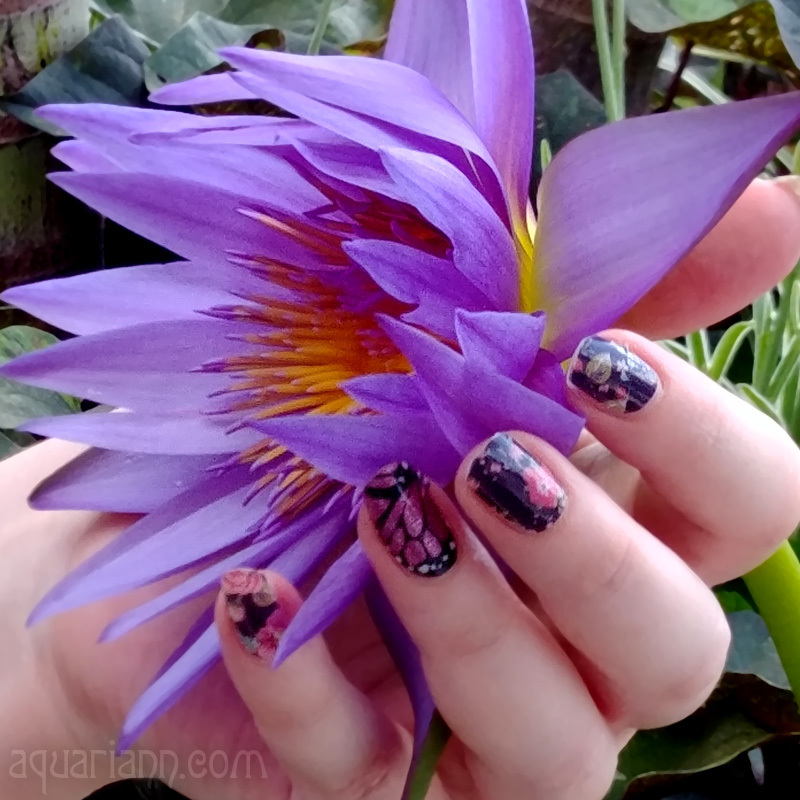 I Like the Night Lily Design AND aquariann Art pages on facebook! Following @NightLilyDesign AND @aquariann on twitter! 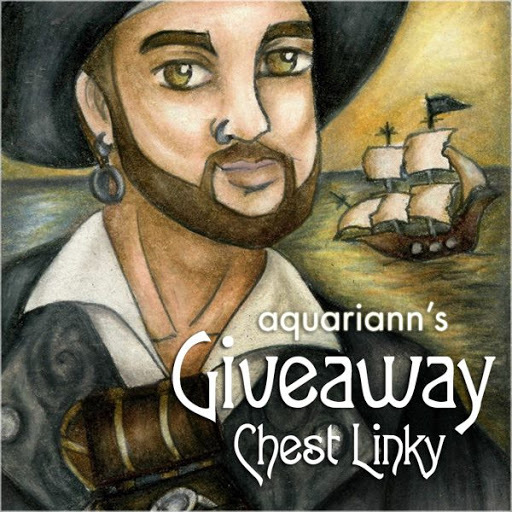 You have just voted for aquariann! Remember, you can vote every day. I want Midnight Druidic Hood ! i love the butterfly fairy wings! liked "Swallowtail Yellow Fairy Wings" - I was the first like! Your Giuseppe the Monster eReader Cover is just hilarious! Love him a lot. Haha the monster book cover is soo adorable! I love the Lush Black Fur eReader Monster on her etsy shop, so cute!